Leading up to Father’s Day, we’re doing a series of posts for each Backstreet Boy. This series isn’t focused on their music or their looks, but for our appreciation for them as the fathers that they are. 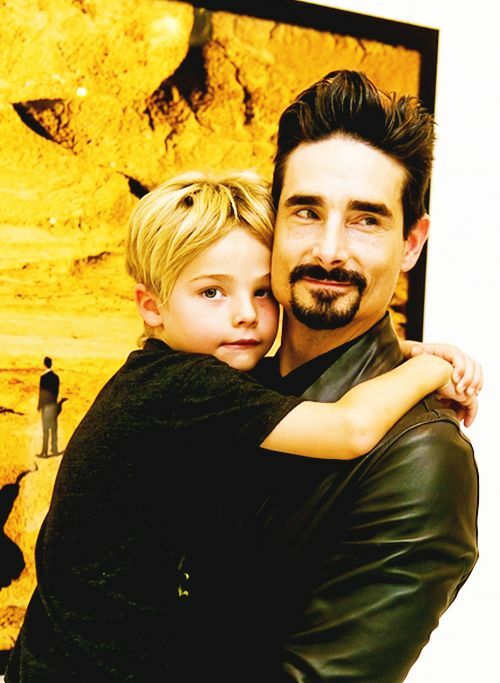 It’s no secret that as long as most of have been fans, we have been watching Kevin be the “father” of the Backstreet Boys and waiting for him to have his own. 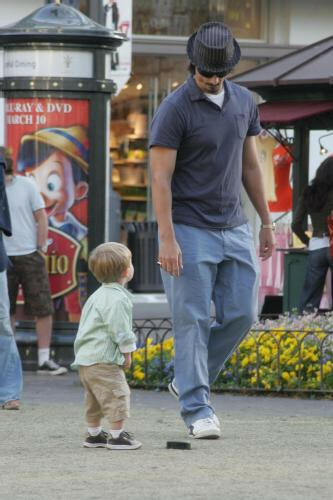 In 2007, we were elated to hear that he became a father to a little boy, Mason. 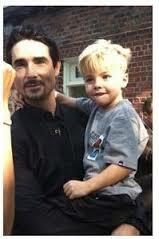 We weren’t so much ravenous for him to come back to the BSB anymore as we were to see him as a dad. Soon after Kevin rejoined the group in 2012, we got our wish as he began bringing Mason to appearances with him. Then, to our surprise and delight, he welcomed another son, Maxwell, in 2013. It was quickly confirmed that, just as we suspected, we ADORE Kevin as a father. 1. Normal Dad Time? You Bet. On a stroll. On vacation. Watching football. 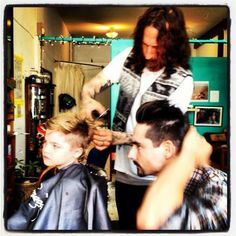 Getting haircuts. No celebri-dad here! 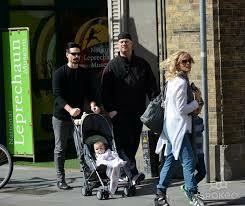 We think we may find Kevin the hottest when he’s pushing a stroller. Just as cute? 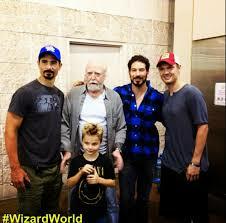 When he took Mason and his former son, Nick, to Comic Con while on tour. 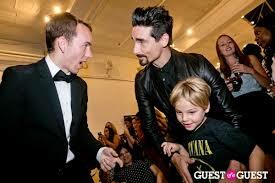 We are so grateful for Kevin back on stage, but we are just as happy seeing him so in love with his dad job. 2. How Happy He Was To Be Expecting Maxwell. We have literally NEVER seen Kevin happier than in the above photo. The smile on his face didn’t just come from receiving the star on the Hollywood Walk of Fame – that is purely proud father glow. And who can blame him? A nearly perfect family of 3 and one on the way? We were just as excited as he was! The joy that Kevin seems to get from being a father warms even the coldest of hearts. 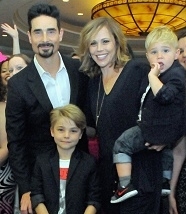 Considering Mason was born when Kevin was on a Backstreet break, he had no idea that his dad was/is an international superstar. Since Kevin’s return, he has mentioned on more than one occasion that his oldest son has little interest in what his dad does and Maxwell is too young to express his opinion yet. With that being said, you would think Kevin might have a hard time balancing being a dad and a touring musician. However, you forget that Kevin is actually super dad. 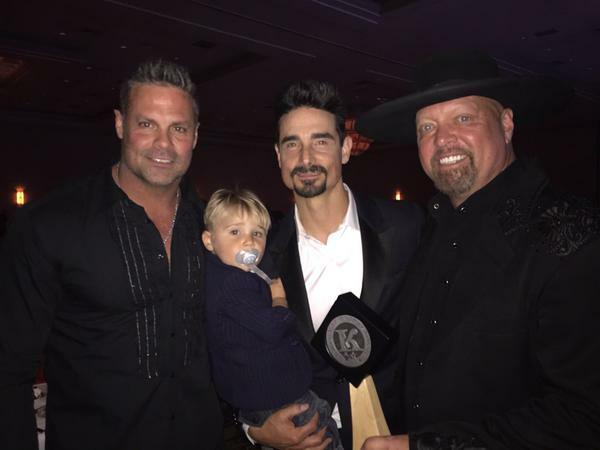 Numerous times we have seen it not be a problem that Kevin has a baby in one arm and a sharpie / award in the other. If his kids need their dad, he has them with him and we think that is pretty awesome. We also commend him on being proud to show his children off instead of putting them away with a sitter for the night every appearance. How rare these days! 4. He Makes Being A Dad Look Cool. Some men think having kids will make them less cool. They’ll be tied down with a dad bod and no time to hang with their friends. Then, once again, there’s Kevin. He’s wearing tight jeans with every perfect hair in place… and a baby in his arms. Yeah, we’re into it. 5. He’s Spreading Love and Peace In The Best Way. We know that Kevin is the biggest promoter of peace and love that there is. 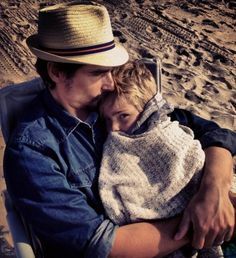 It’s pretty apparent in every photo that we’ve seen of Kevin and his boys, everytime he speaks about them, and everytime he shares a positive message with the world, that he’s raising (along with Kristin) Mason and Maxwell to be just as incredible as he is. 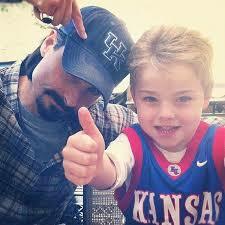 We could only hope for more dads in the world like Kevin Richardson.